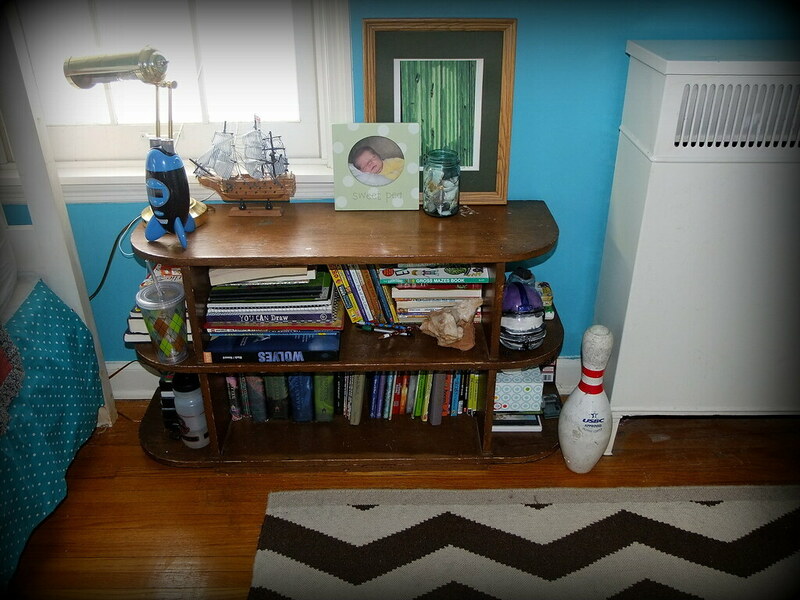 1. we make our kids clean their own rooms. they do an ok job....just not ok to my standards. 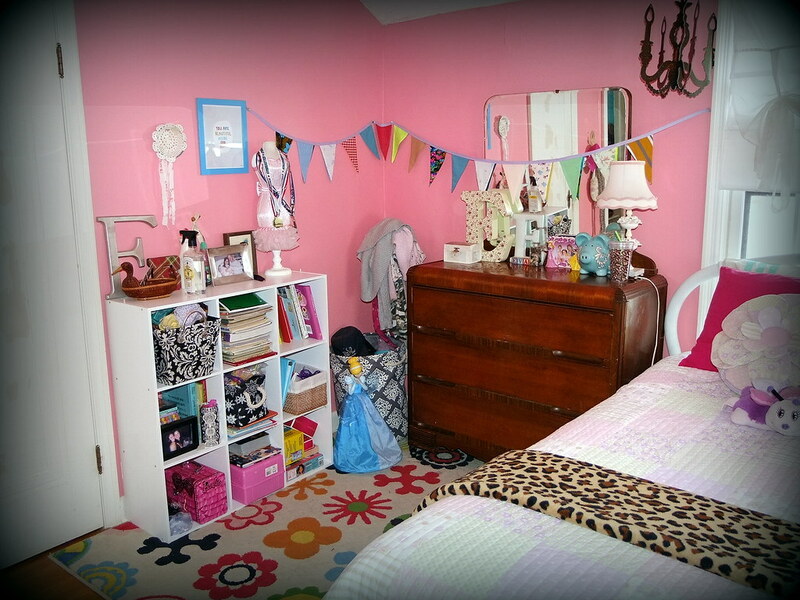 to both of them, a clean room means nothing visible on the floor. nothing visible on the floor to my kids means "push everything under the bed". so, every few months, i will go in armed with a gas mask, some j.r. watkins cleanser, and a vacuum, and deep clean their rooms. this not only gives them a good base to keep it clean, but it also gives me an opportunity to get rid of toys they no longer use. i'm a freak like that. 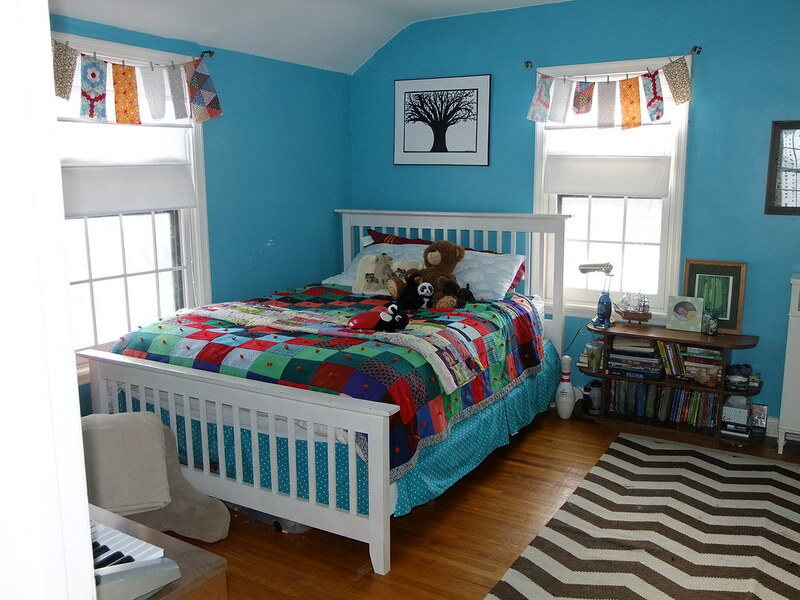 2. having said all that in #1, the reason i am willing to share with you pictures of their rooms is because last week, i had such a cleaning experience, and am no longer too embarrassed to show you their rooms. i guarantee that their rooms do not always look like this. moving on. 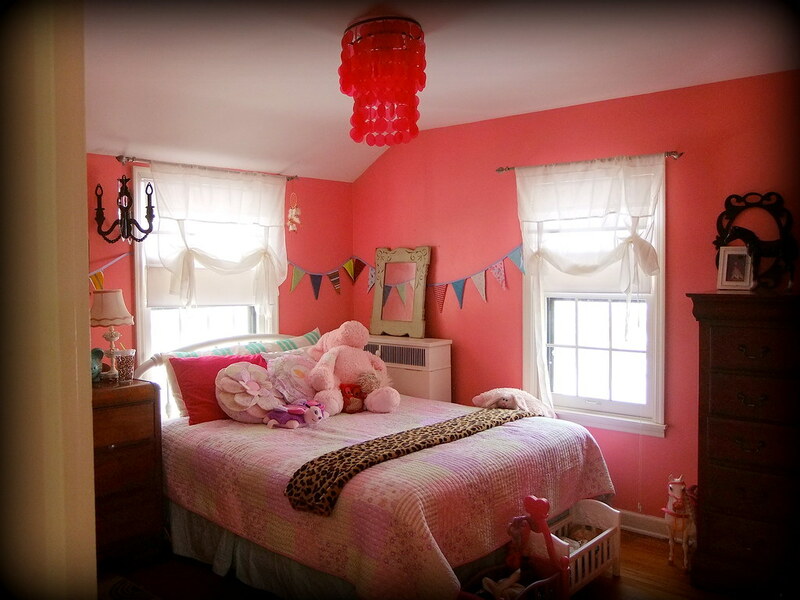 i'll start with eva's room. 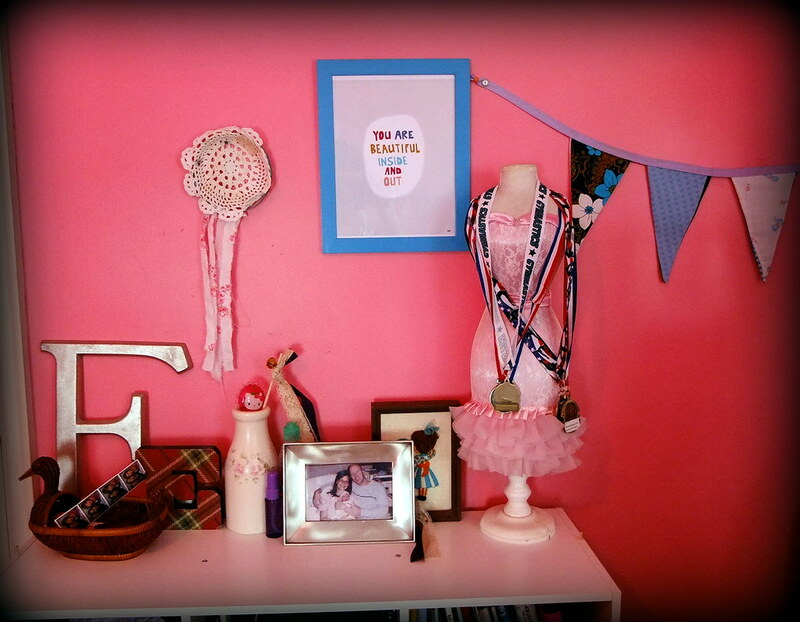 she has the room that i always wanted as a kid...and since i always wanted it, she gets it. 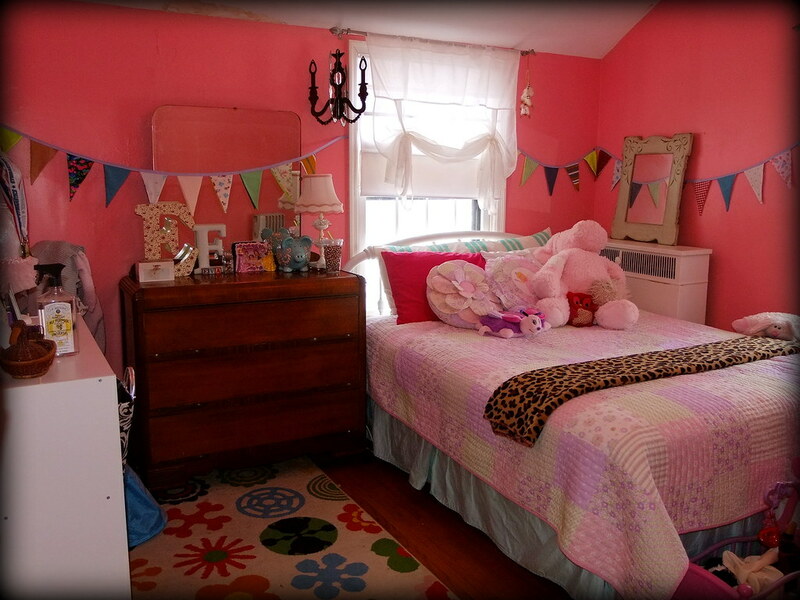 i sure as heck hope that this is the room she always wanted (hint, it is). 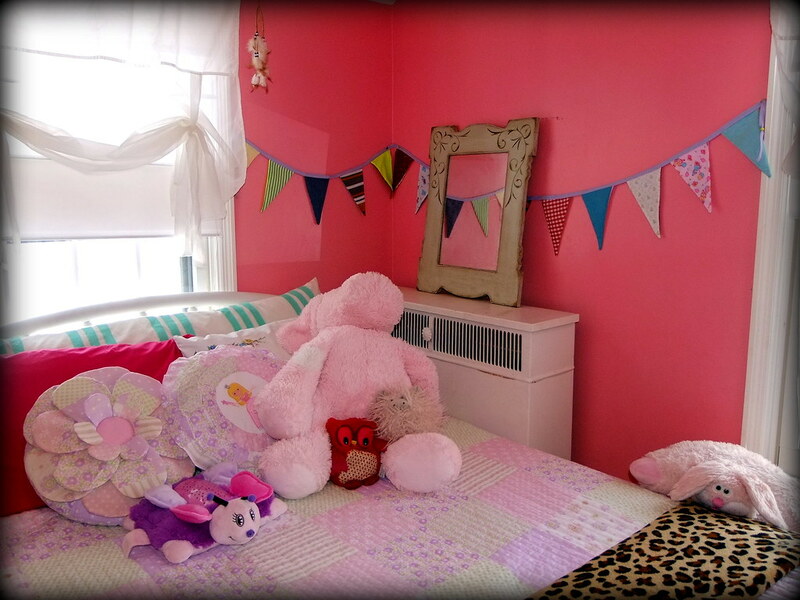 eva is a well-rounded girl, but she sure does love her pink. 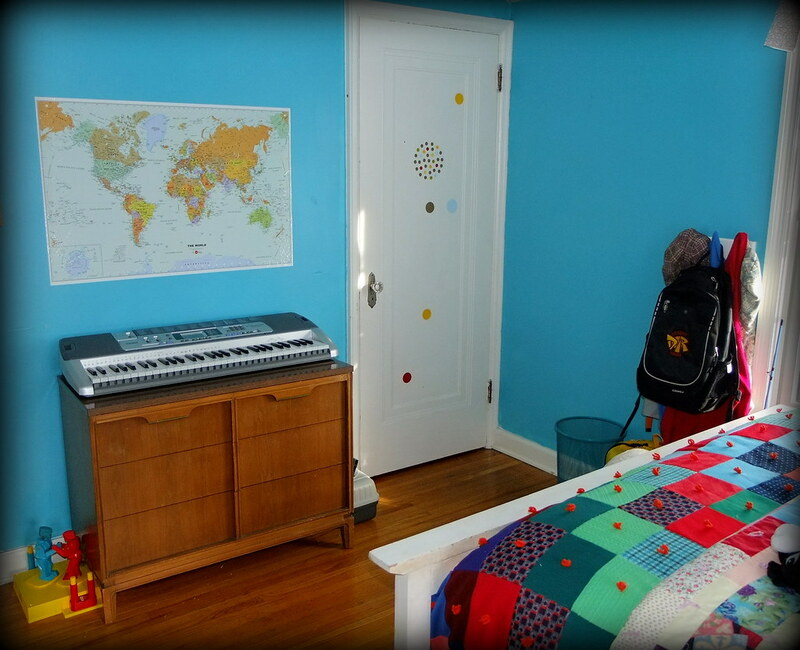 and now onto henry's room across the hall (we are all right next to each other) (i did not deep clean my room, which is why it's not in this post). what you won't see are the two huge bins of legos under his bed or his mess of a closet that is currently being used by chris. i am not sure what we're going to do when our kids get older and actually need their closets!! 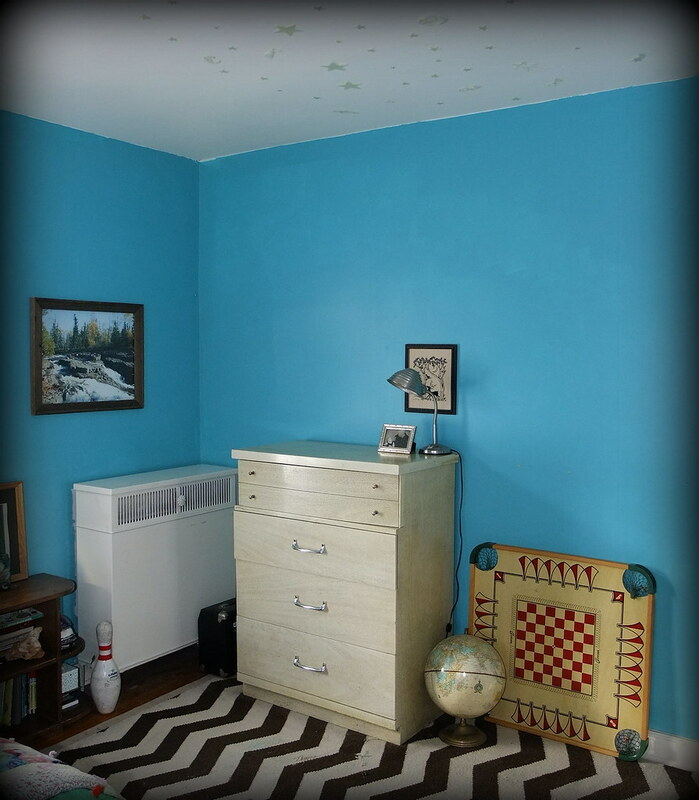 and the tree painting above henry's bed was painted by my dad. he is a fabulous artist, and painted that tree when i was a young child. i loved it so much that he painted another copy just for me. i thought it was perfect to display in henry's room. 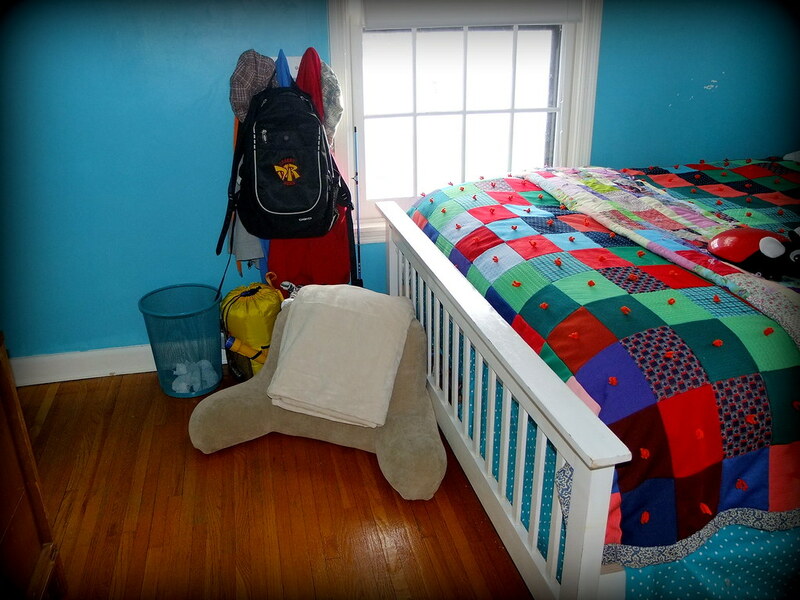 i do love my kids' rooms, even though they drive me nuts from time to time (like the time i found dried macaroni and cheese under henry's bed)...but i have only myself to blame....because as i mentioned earlier, my room wasn't clean enough to photograph. i am their teacher, right??? yesterday i had a big burst of creative energy. that kind of energy that i need to channel into something productive or i will take it out on my closet, suddenly deciding that, omg, my clothes are so lame and i need a new style and i am totally going to spend way too much money online shopping right now! (does anyone else get like that, or is it just me?) anyway, whether that makes sense to you or not, i decided that online shopping/spending money was not the way to go (and not creative in the least!) and that i would use that energy to redecorate my kitchen walls. we had some art hanging in there that just didn't really fit and was just thrown up there because we felt we needed something and so on and so forth. anyway, i suddenly decided i was sick of looking at it and it needed to go and i told jim, as he was leaving for work, that i would be taking it down and doing something new. yet, i had no idea what. he looked super excited. (this is false.) basically, he rolled his eyes and left. 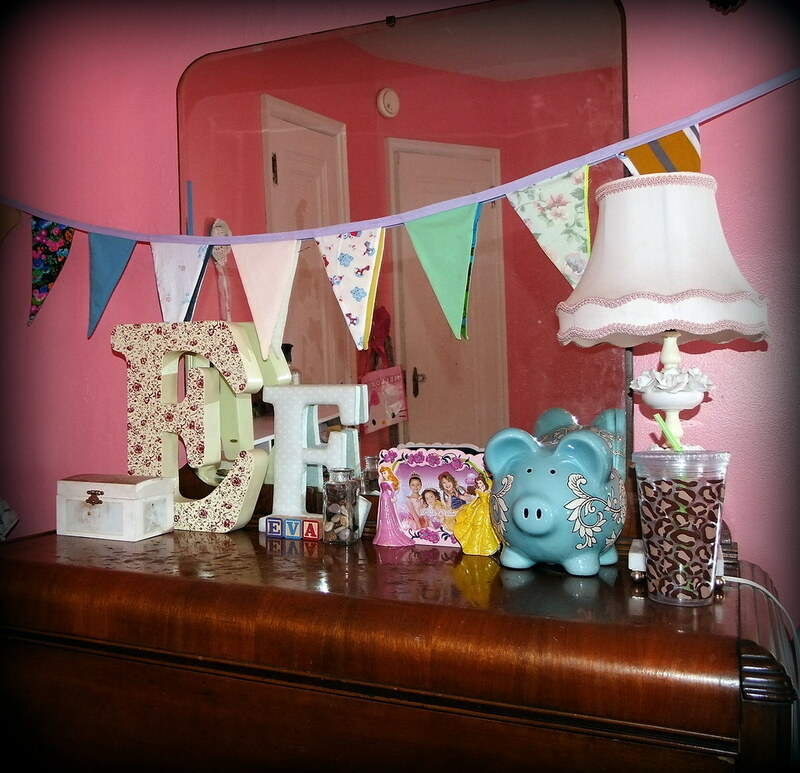 throughout the day, while the kids were playing together or napping, i went through the house and gathered random items to hang. i brought up some watercolors and canvases and asked mimi to paint a couple of pictures, to which she obliged. i even dug through my old college art portfolio and found a few things that were actually pretty cool (including a portrait i did of jim almost twelve years ago which, while it did not make the wall, was nonetheless hilarious). the walls are still a work in progress. i am sure i will be adding and editing for a while still. but i am starting to love how they look. they are personal and fun. i got creative and i totally avoided spending way too much money on clothes that, while i may still really want, i definitely do not need. 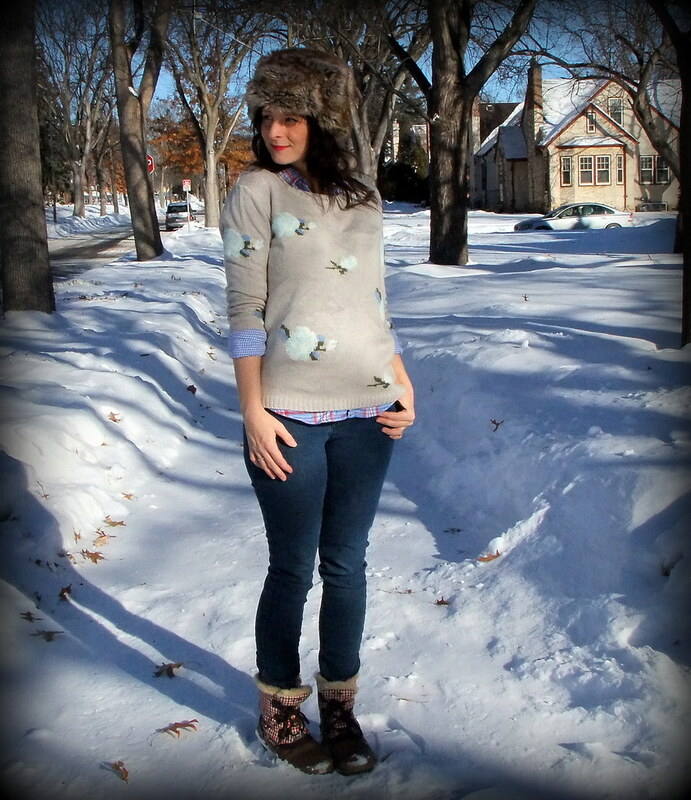 until spring, when i am obviously totally going to need a new wardrobe, am i right? we had high hopes of posting some sort of football-themed outfit...a varsity sweater or team-colors inspired shirt. but then we realized that we don't much dress for the super bowl. instead we dress for the food. and by dressing for the food, we mean cute jeans and a sweater big enough to hide the chips and dips baby that we'll be sporting on monday after game day. so grab your favorite oversized sweaters, and a bag or three if you truly want to dress like jessica, and join us on monday. don't know how to play along with inspiration monday? why just click here to learn. ~ while i'm not particularly loving the weather, i did get to work from home on monday since the kids' school was closed. i taught them how to make pom poms and brought up all the craft supplies i could carry in one trip. they made chris some pretty fabulous valentine's day gifts (which i will be sharing soon). ~ while i don't love that my whole family has been sick, i have been taking full advantage of the extra snuggles i am receiving from my kids. ~ i also have been taking full advantage of being lazy on account of being sick. sometimes it's just nice to let yourself be lazy without guilt. how cute is this? 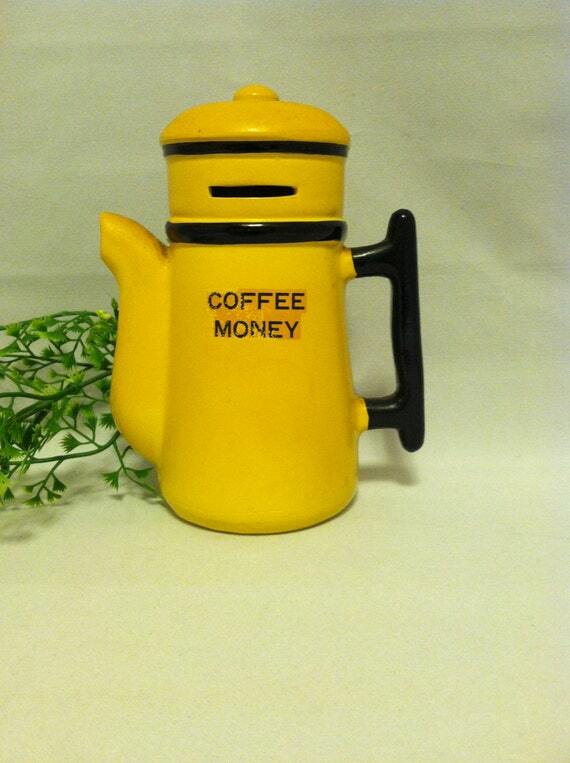 and back in the day this was made, i'm assuming they had no idea how much coffee would cost in the future! i could use a bank just for coffee money! i love the colors and the cuteness of these great prints. 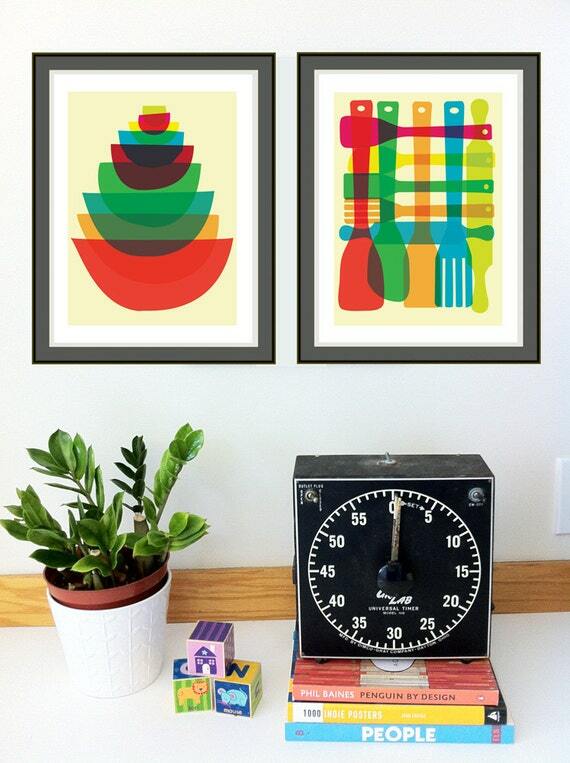 we are updating our kitchen a bit, and i could totally see these hanging on our new walls! 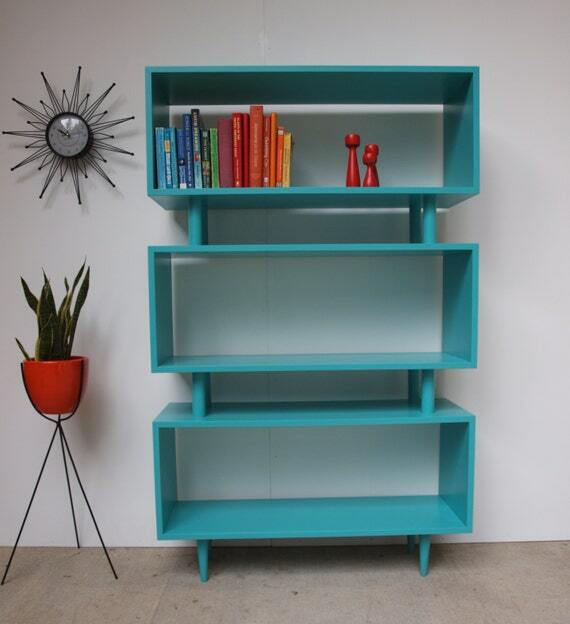 i have absolutely no room or even need for this bookcase, but that doesn't stop me from really, really wanting it. it's such a statement piece, and would look great in any home! i just want to wear this dress and sing that song. (chantilly lace and a pretty face) no? is it just me who knows that song? either way, fabulous dress! i love the lace detailing. 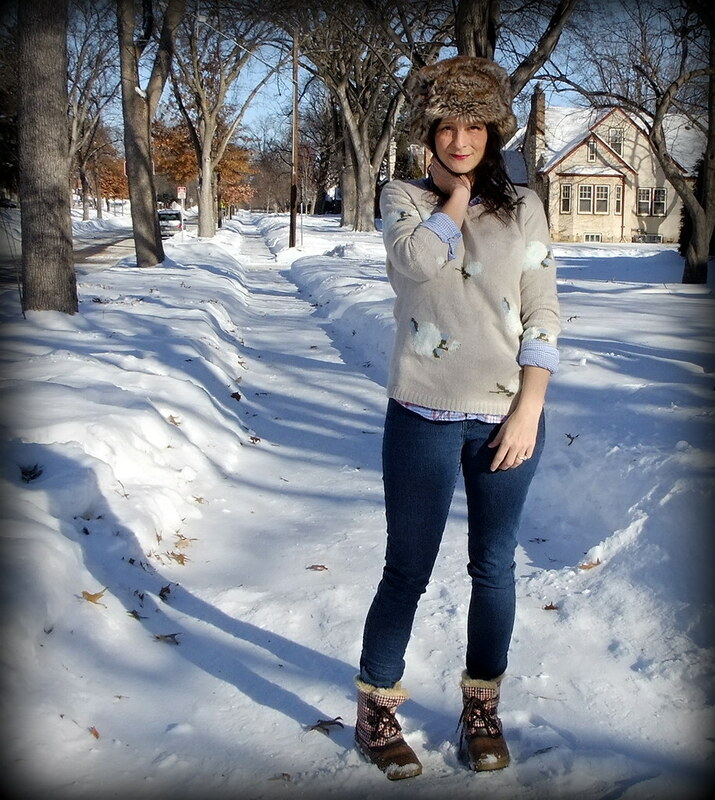 i know i don't need another coat, but in minnesota, it is one of the allowances i don't really feel guilty about buying. 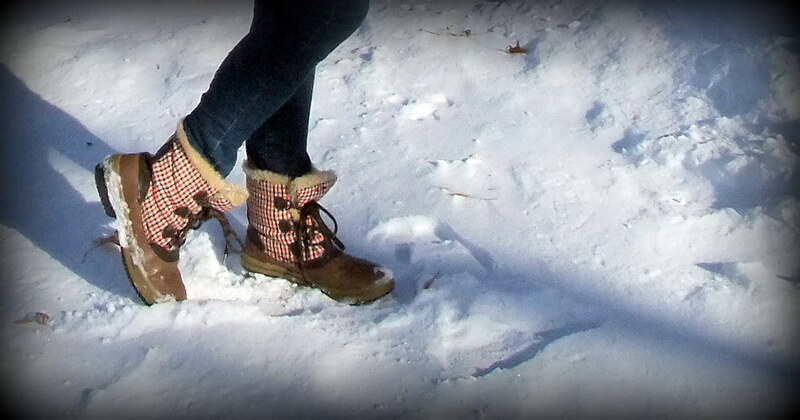 because when it's this cold, the least i can do is try to look cute while freezing my buns off. 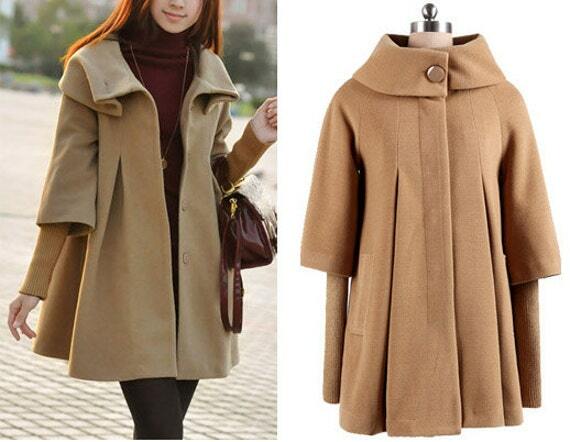 i love this coat!! sometimes we work so hard at creating outfits and accessorizing, that we forget that oftentimes, a nice clean, simple outfit is the way to go. i love how effortlessly chic alex looks in this great outfit. eva and i snapped a photo of our soon to be new clothes from forever 21 (aka forever 12) last weekend. this might be the coolest coat ever. i love the geometric print, the huge pockets, the hood. i love this coat! 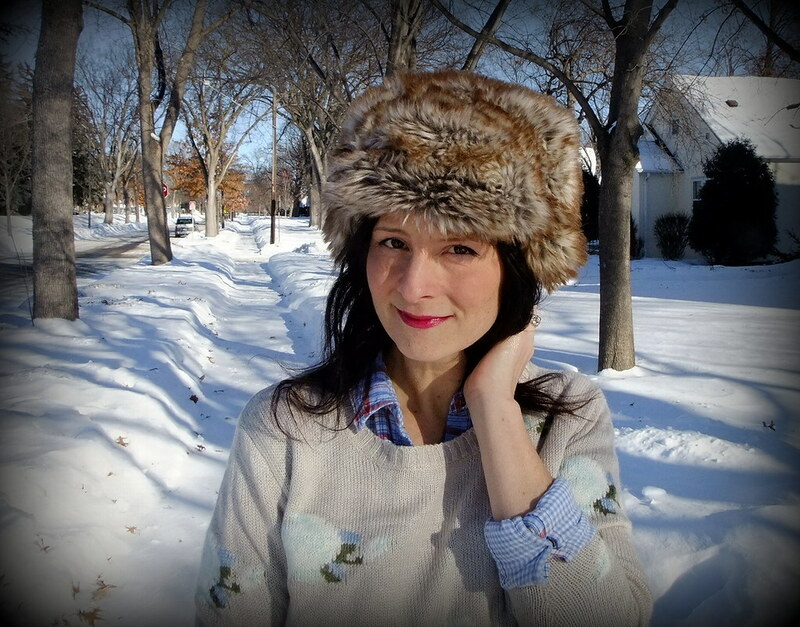 i like a good, slouchy hat. 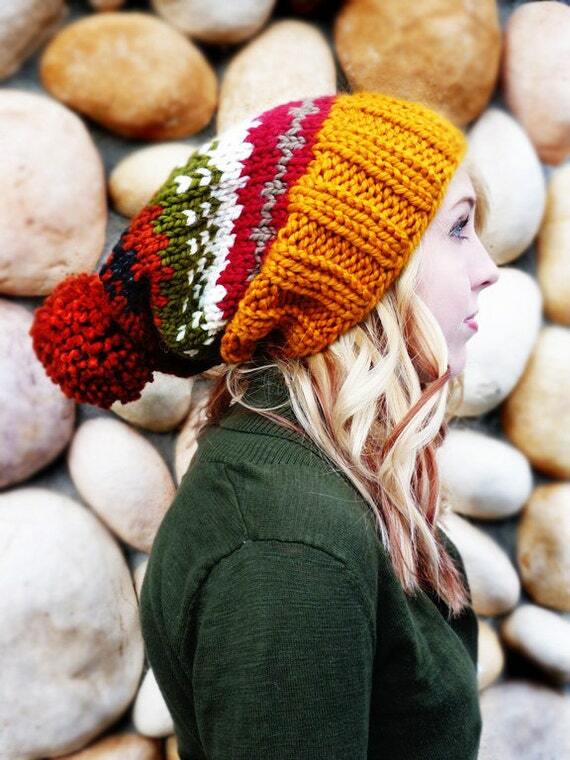 this one has the perfect amount of slouch! and i love the gorgeous, warm colors. such a comfy, cozy, cute sweater. this would be one of those sweaters that i would throw on over everything and wear every day! 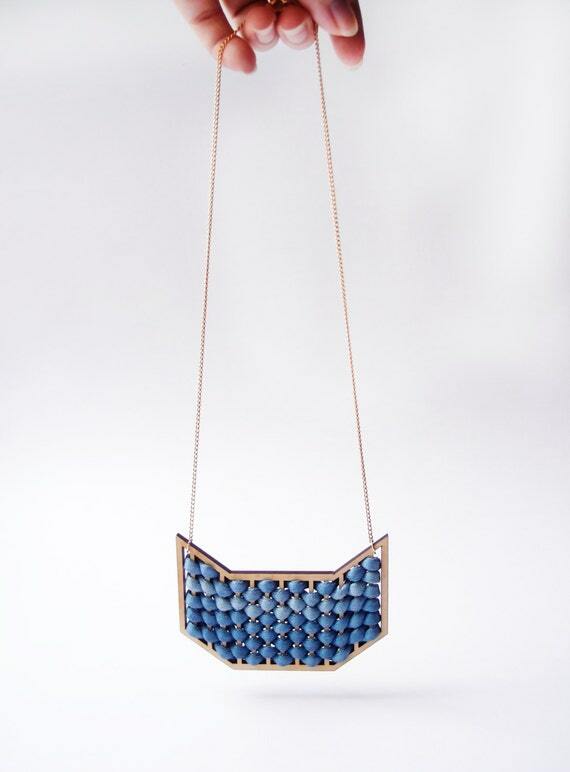 this woven, wood necklace is such a gorgeous and unique piece! wearing this, you would surely feel special! well, we definitely have a coat-heavy post going on today. 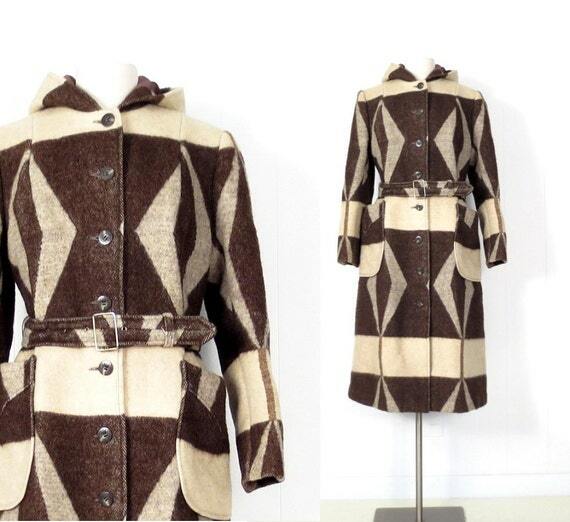 but i had to include this gorgeous, camel overcoat. i adore the black sleeves and collar! 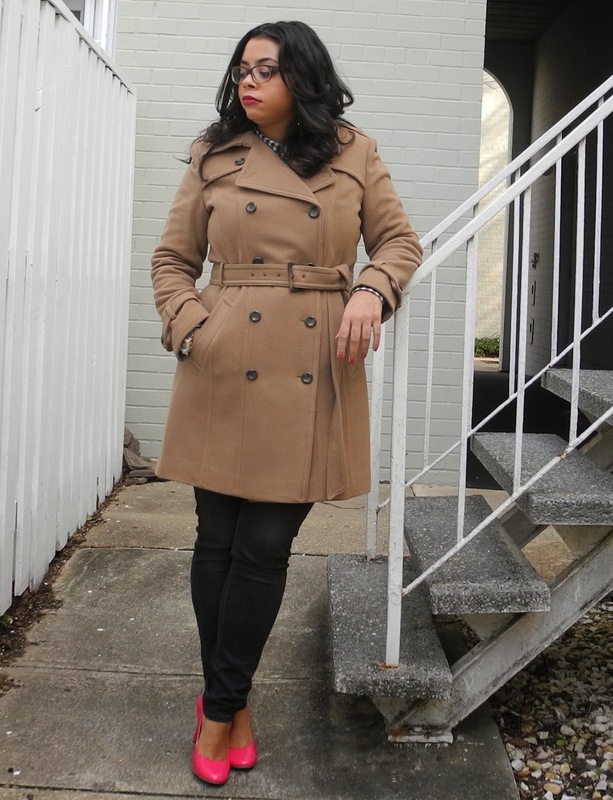 speaking of great coats, check out dana's perfect camel coat in this post! gorgeous. 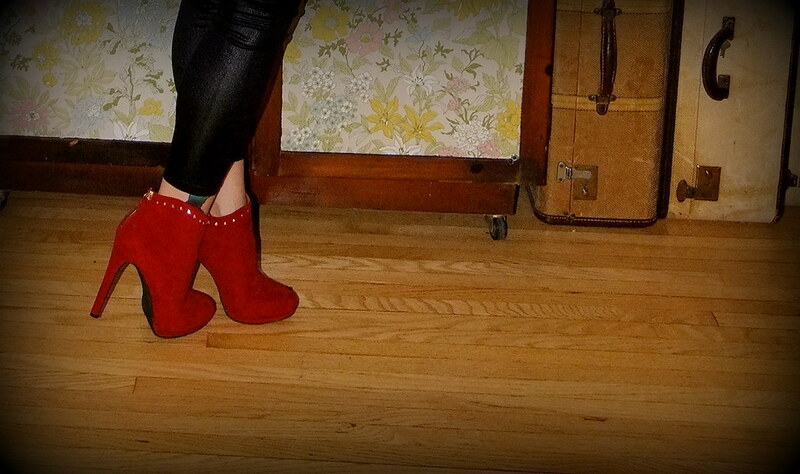 and i love the fun pop of bright pink from those cute shoes! ben got a hold of my phone this weekend and managed to attempt a selfie. and mimi totally photobombed his attempt. this picture really cracks me up! 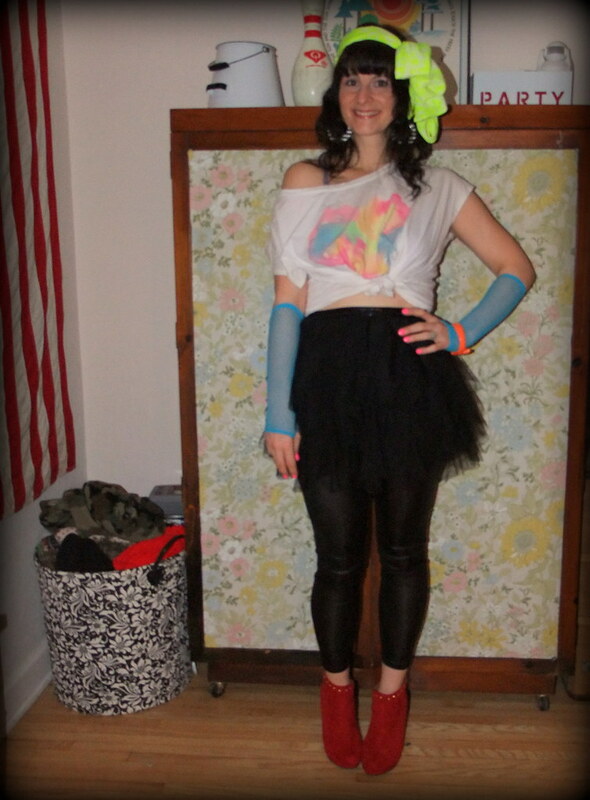 i went to a charity 80s themed dance party a few weeks ago. a friend of mine works for Get Your Rear in Gear, and asked if i wanted to go. last minute, i found a sitter and decided to head out. 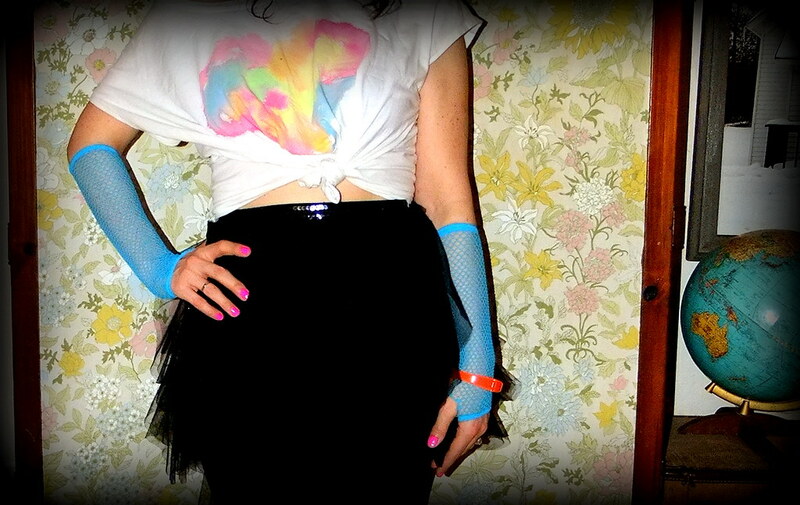 i thought i'd have to run to the thrift store to find an outfit, but fortunately (sadly?) i had everything i needed at home to create this costume. there was a band there that played all 80s music, and everyone was doing their very best running man and cabbage patch moves. i will neither confirm nor deny whether or not a small circle of women formed around me as i was doing my very best roger rabbit moves to the band's mash-up of ice, ice, baby and under pressure. ok, i'll confirm. it was a blast, and for a very worthy cause. if you live in the twin cities and want to go next year, let me know...it's definitely worth it! for eva's birthday, we gave her a "girls day". she and i got pedicures, went shopping, went on a roller coaster at the mall of america, and had some gelato. it was a great day. after our pedicures, i asked her what she wanted to do, and she said, "go to the mall". i was so happy that my little girl wanted to shop with me. and then as i was driving around the mall of america parking lot for a good 30 minutes, it hit me...and i asked her, "wait, why do you want to go to the mall? to shop, or to go on a roller coaster?" and of course she answered "roller coaster". but, i made her go shopping with me, too, because if i'm going to go to the mall on a saturday, when there's a dance competition going on, and i have to wait 30 minutes for parking, and another 30 minutes in line to ride a $15 roller coaster, then i'm going to shop a little at Forever 21. or as eva calls it, Forever 12.
earlier this week, i had some of my girlfriends and their kids over for dinner. i wanted to make something simple and that would be pleasing to both the children and the adults. the obvious choice was lasagna! who doesn't like lasagna? plus, you can make it ahead of time and then just throw it in an hour before you want to eat. easy peasy. i decided to make two lasagnas. since i am vegetarian, and i have never in my life cooked anything with meat, i went with a regular veggie lasagna (i used this recipe and then tweaked it a bit to my liking. i was told it was delicious.) and since i am trying to cut flour out of my diet (not totally, but just ease up on it a bit! ), i decided to attempt a noddle-free lasagna, as well. it turned out pretty yummy, so i thought i would share! 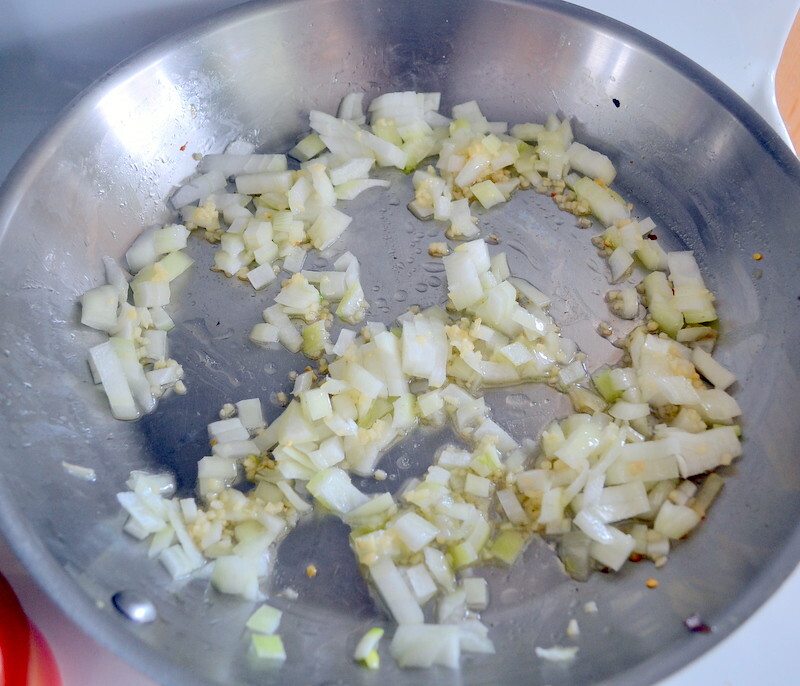 i made mine veggie, but you could easily tweak this recipe and add any kind of meat (or other veggies!) that you like! 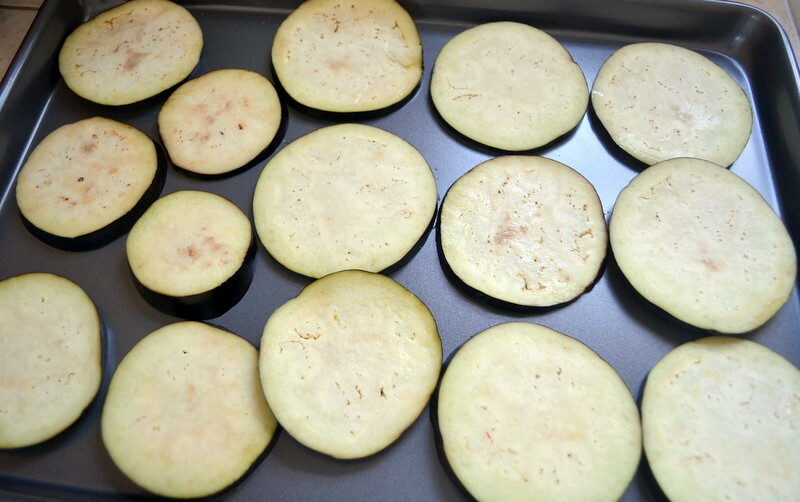 first, i cut and salted my zucchini and eggplant. they are filled with water, so you want to sweat them first, for about 30 minutes, to remove a lot of the water (or the lasagna will be very runny!) after letting them sweat, i dabbed them with a paper towel and put them in a 425 degree oven for about 10 minutes, just to make sure they were dried out enough! 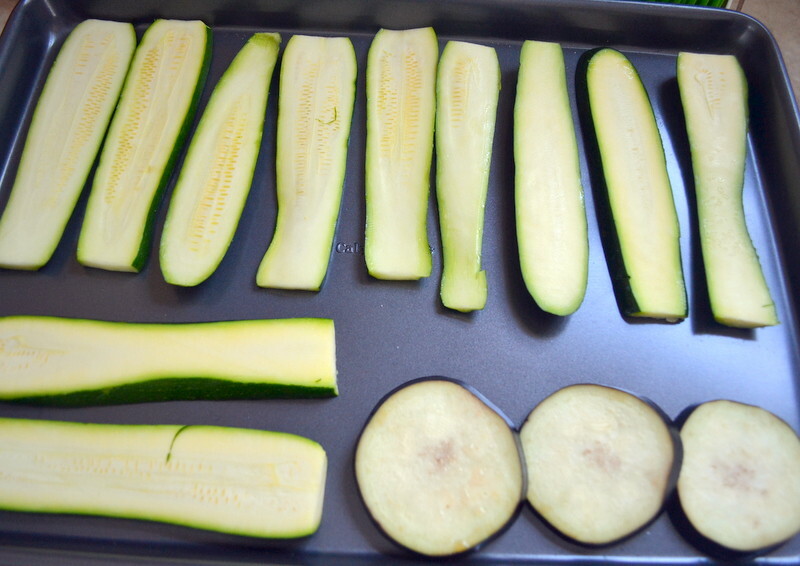 once that is done, set the zucchini and eggplant aside and lower the oven's heat to 375.
for the sauce, start by sauteing the onion and garlic in oil (i used grapeseed oil) until the onion is translucent and the garlic is fragrant. 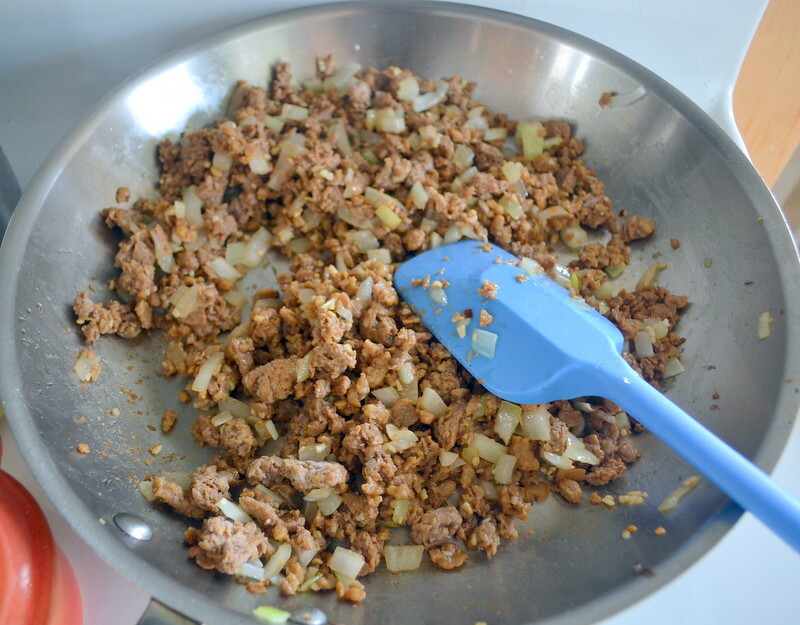 add the veggie crumbles and cook for about 5 minutes, until cooked through. 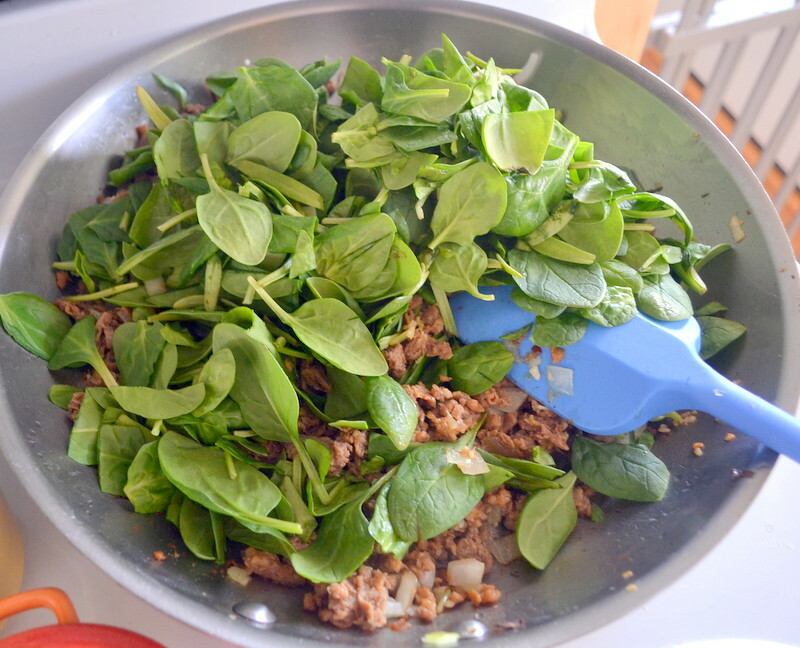 add your spinach (or whatever veggies you like) and let it wilt a bit. i used almost an entire bag of spinach. it cooks down quite a bit, so i like to add a lot to get all that extra nutrition! 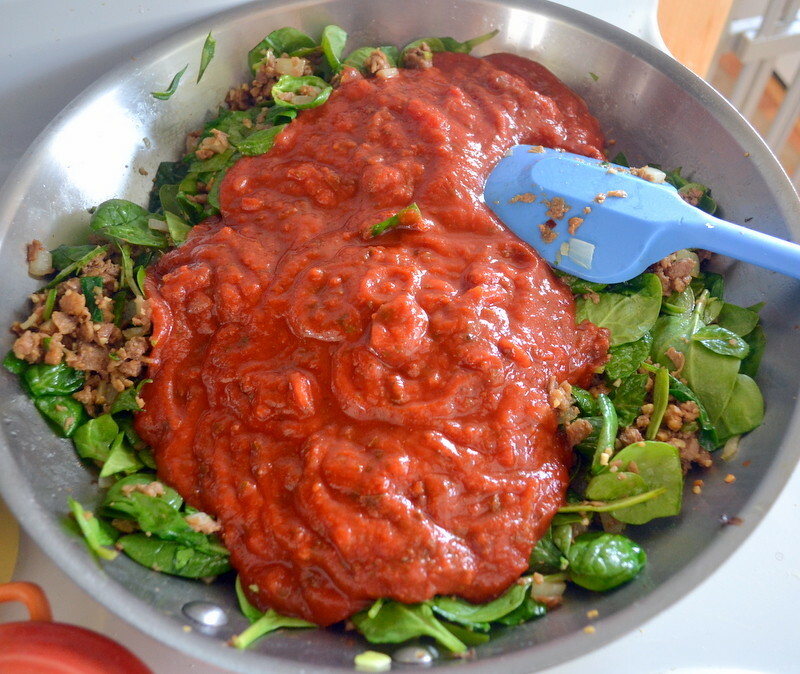 once the spinach has cooked down, add the entire jar of sauce and stir to incorporate. that's it! the sauce part is done. 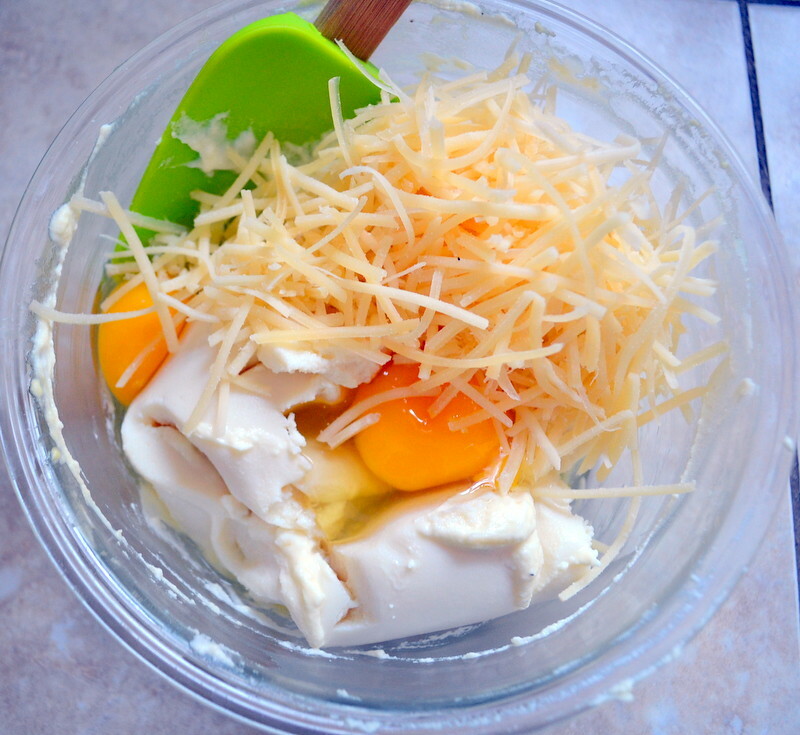 for the ricotta layer, mix together one container of ricotta, two eggs, the parmesan, and some salt and pepper. and now we are ready to layer! 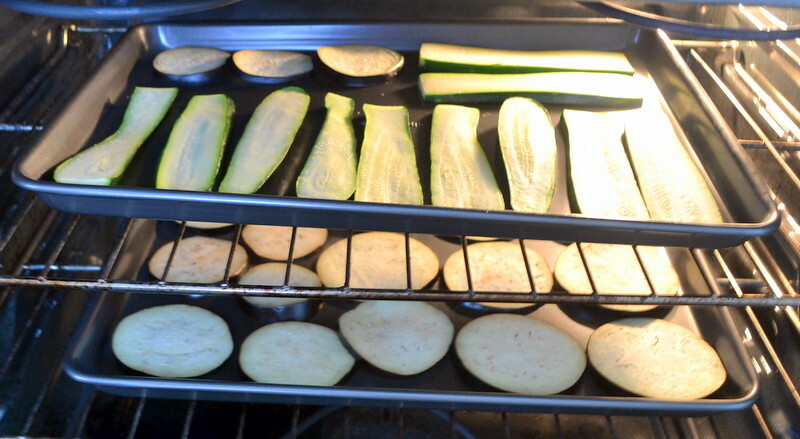 start with the sauce, then the zucchini or eggplant, then the ricotta mixture, the mozzarella slices, more sauce, and so on. i ended up doing only two layers because i had used my bigger pan for the noodle-y lasagna (note to self: buy another big lasagna pan). but you can layer to your heart's content! 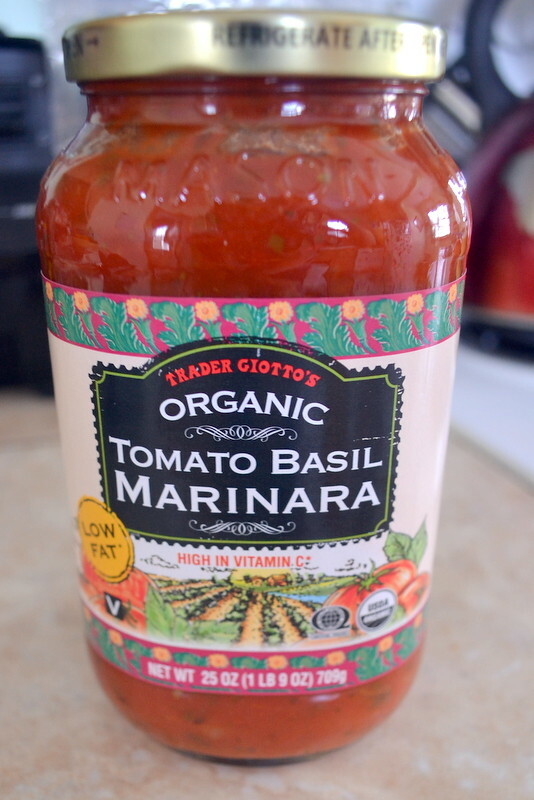 my top layer was sauce and then a sprinkling of parmesan! i covered it with foil and let it sit and rest for a couple of hours. you don't need to wait that long, but i had assembled mine super early! i would for sure let it rest for about 30 minutes. then bake, covered, at 375 for about 40 minutes. after 40 minutes, remove the foil, and cook for another 10 minutes or so, until the cheese is nice and golden and bubbly. wait about 15 minutes before cutting and serving! and there you have it! a super healthy, guilt free lasagna! i didn't miss the noodles at all! do you like lasagna? what's your go-to dish when cooking for a group? 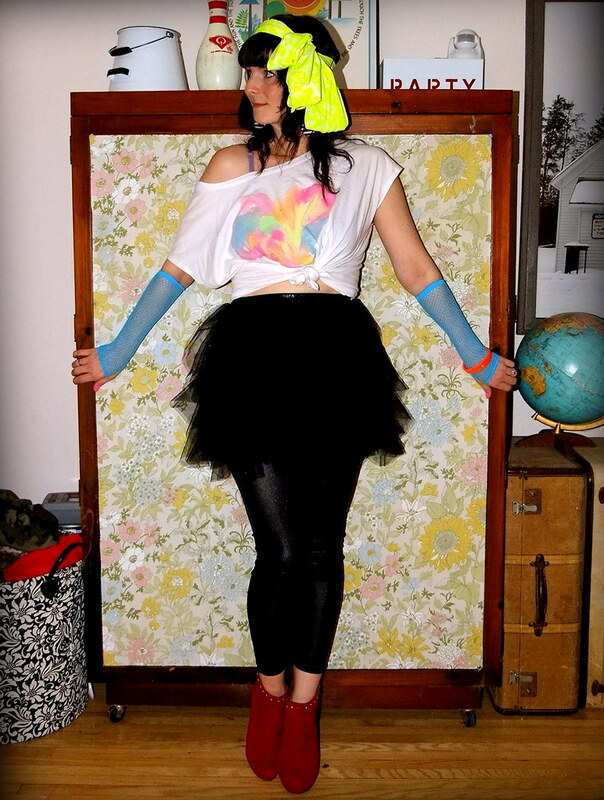 outfit of the day(bird): why?